A ban on the Burqa and Niqab is important in guaranteeing women's freedom. 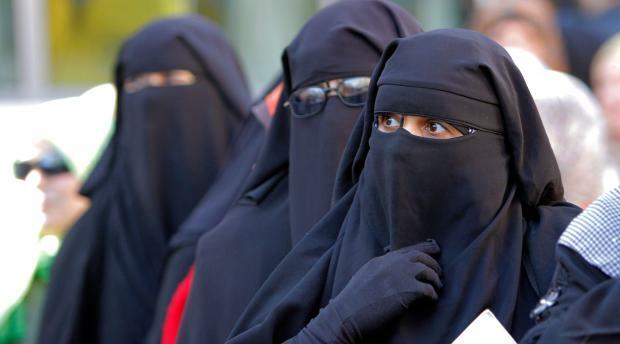 Many Muslim women feel forced or obligated to wear such items by their families. This ban would give them the freedom not to. The Burqa and Niqab are associated with oppression and patriarchy in many societies. Taking away a woman's choice isn't advancing women's rights or human rights. All women have pressure put on them to conform to culture norms of dress and body type. It is coercion of women that should be outlawed, not one type of clothing - as some may wear it freely. The ban would make it impossible for Muslim women who wanted to wear the burqa/niqab from getting employment, thereby removing all possibilities of economic freedom. The more you try to enforce such a ban the more press and attention it will get attracting more young women to wear it in protest. Some adherents of Islam strongly believe that a woman should not be seen out of the house without proper attire. A ban on the Burqa/Niqab would likely result in more women no longer being allowed to leave the house (as ordered by their family or husband). A blanket ban does nothing to solve the problem of the coercion of Muslim women.